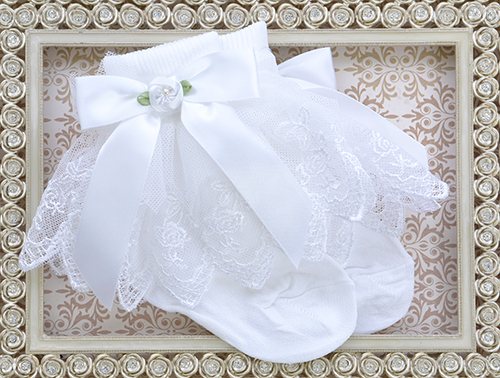 An adorable pair of ruffled socks is just what baby needs, and these come from Katie Rose. Made to match many of Katie Rose's designs, these white little ruffle socks are just too cute. The embroidered white lace details hang from the cuff nearly hiding baby girl's little feet. 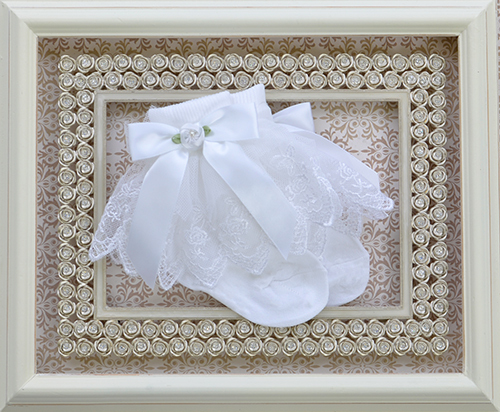 White satin bows with soft tulle details adorn the top of the cuffs. Made from an oh-so-soft cotton to be soft and warm on her toes.